Heading to Savannah this October to get your spook on? The city is known for being “built on its dead”, so there's certainly no shortage of tours about paranormal activities. 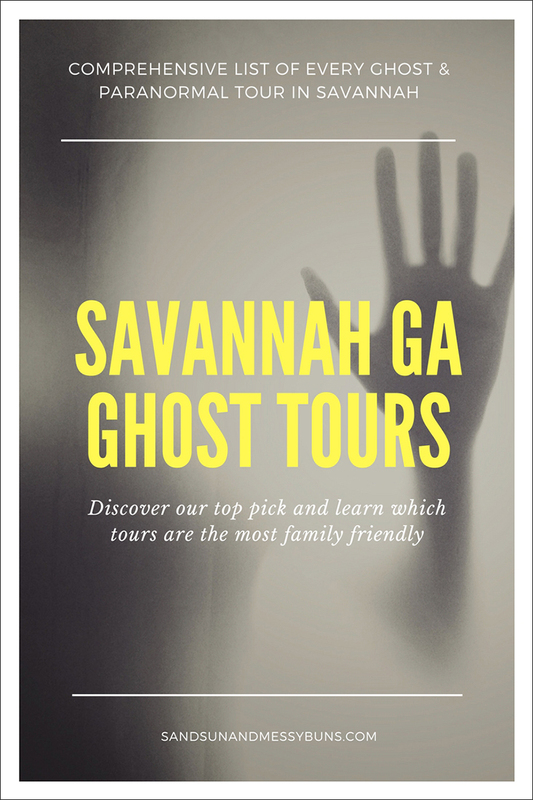 (Just ask any local if they've ever been stuck behind a hearse from one of the ghost tour companies, and I guarantee their answer will be a frustrated, “YES!”) Here's a comprehensive list of the current Savannah GA ghost tours to get you started on your spooky adventure. Before heading out on your journey, I recommend picking up a copy of the Haunted Savannah Illustrated Map to take with you. The map is full of intriguing ghost stories about more than 40 haunted locations throughout the city. Many of the tours listed above have kid-friendly versions during the early evening hours. Inquire about the suggested minimum age limit when you call to book your trip. Read reviews about each tour and purchase tickets here via Trip Advisor. Which Savannah GA Ghost Tour is Best? If you prefer to laugh and get a little rowdy during your outing, definitely select the Hearse Ghost Tours. They're a bit kitchsy, but their hosts are definitely there to entertain. Read reviews from others on Trip Advisor to get a feel for how fun they are. Don't forget to order your copy of the Illustrated Haunted Savannah Map before you go. It's the type of souvenir you'll keep forever because it's filled with so many fun facts! You may want to grab one for Bonaventure Cemetery, too, while your cart is open. The cemetery is beautiful and sits alongside a scenic bluff of the Wilmington River. It's conveniently located on Broughton Street where lots of ghost tours originate. Plus, the hotel has top notch service and consistently ranks high with guests. 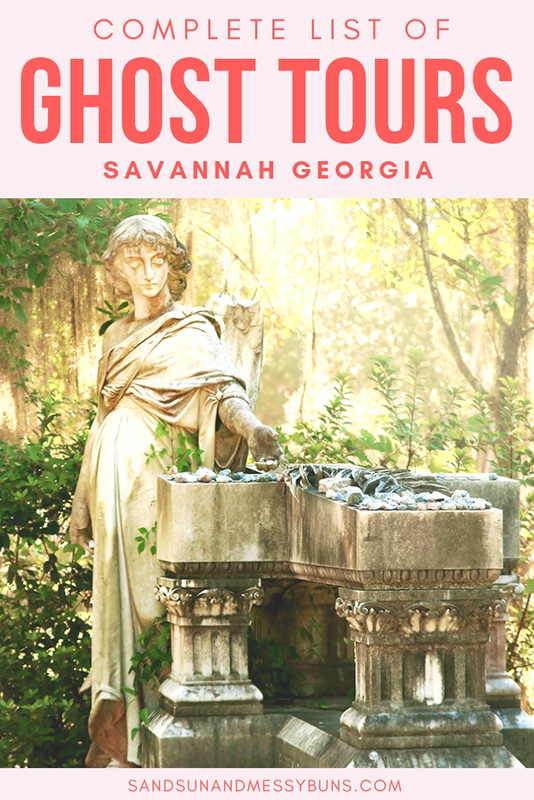 If you manage a ghost tour in Savannah that isn't on the list, please comment below and I'll add it! Thanks, Emily. I just added it! Love this! I’ve always wanted to go on one of these tours. If I’m ever in Savannah (def on my list of places I want to go), I’ll have to check these out! Thanks for putting together this amazing list! It’s such a fun place to visit! I hope you make it one day soon! 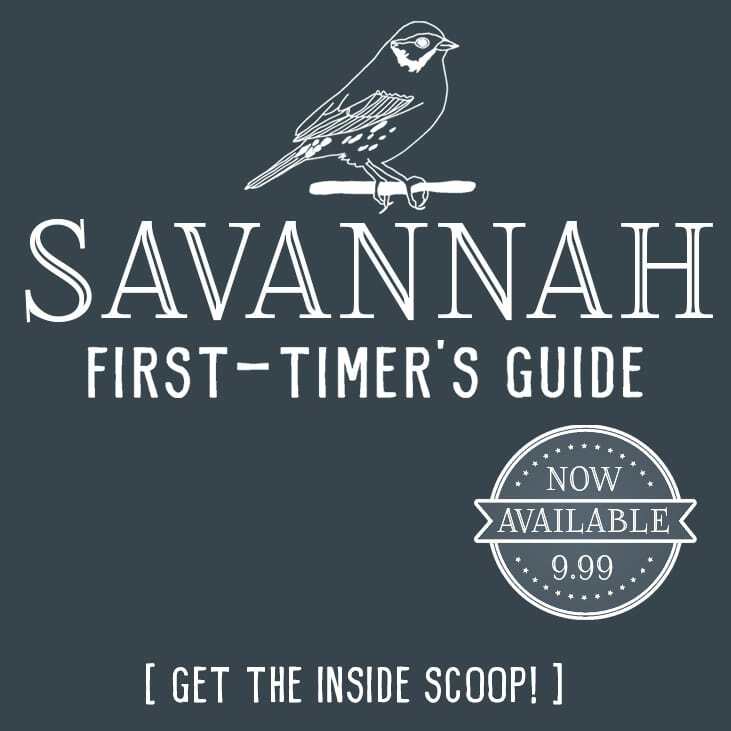 Definitely visit during the fall or spring (summer is too hot) and check out my post about River Street before your trip because it’s full of helpful tips about parking and getting around in Savannah. Such a great list!!! My husband and I were considering Georgia for a babymoon soon, so glad you shared these!! A babymoon sounds so fun! Let me know if you decide to make the trip and I can give you tons of tips about where to stay, the best food places, what to eat, etc. It’s my favorite city! Yessss! I love ghost tours! I wish I had this list when we went to Savannah a few years ago. We had such a lame tour. I gotta try the walking tour next time! Some of them are pretty lame. I personally prefer the silly ones, because a ghost tour is a bit silly to me in the first place. But I’ve been on a couple factual ones and they were pretty interesting! I learned a lot of neat tidbits about the city.